When I have old friends over for dinner, it is never merely a meal. It’s always an anticipated event, an encounter with people I dearly love at a deep level. It’s an exchange of conversation flavored by our shared history, values, and mutual respect. When I have new friends over for dinner, it’s never merely a meal either. It too is an encounter, a sharing of ourselves and opening up to discover common values as well as the excitement of hearing a person’s different perspective or experiences which can open up new horizons. The great modern theologian, Fr. Romano Guardini (1885-1968), makes the beautiful insight that the Mass too is both a meal and an encounter (from his book Meditations before Mass). He asserts that Christ makes this connection when He talks about Himself in the passage above as both “bread” (meal) but also as “come down from heaven” (encounter). 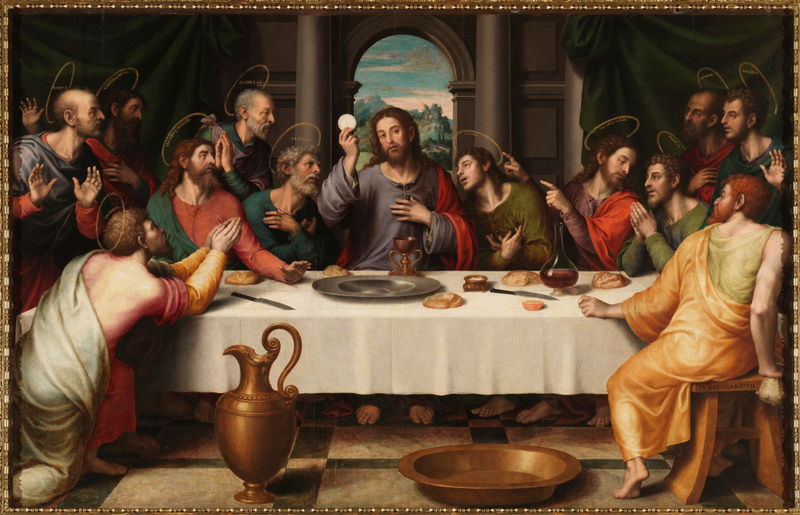 In the Mass Christ invites us to a dinner He has prepared that we might both be nourished by the food and refreshed in spirit by the personal encounter with Him either as a new or old friend. Deep friendship is one of the greatest pleasures one can experience in life. Even the philosopher Aristotle considered it one of the highest virtues. To find someone who shares the same “vision of the Truth” as C.S. Lewis puts it, is a real joy. Scripture reminds us that “Faithful friends are beyond price” (Sirach 6:15) and we all know that for something to be expensive it must be rare. To spend time with that friend in person is even more delightful. To have that kind of friendship in marriage can result in an exchange of love and unity at the very depths of our humanness. Christ desires this kind of friendship and union with each of us. That is why the image of a wedding feast is used to represent the culmination of the Christian life. Christ the bridegroom and the Church His bride are united body and soul in the Eucharist. Celebrating the Lord’s Supper presents the opportunity to encounter Christ at every level, from the surprises of a new friendship to the deepest and most intimate of relationships. The more dinners, the more the friendship can develop. Who is your closest friend? How did the friendship develop? How would you describe your friendship with Christ? How has it developed? Consider the role of meals in developing friendships. Whether it is as simple as coffee, drinks, lemonade, cookies, grilling, eating out, or cooking a full meal, or family dinners. How does food somehow enrich the experience and open people up to each other? Consider why Christ would desire to be present to you in Person, in the flesh, in the context of a meal. Consider how personal it is and bonding. Also consider the addition of other people – how does eating with others add to the experience? Next Mass, approach the Lord’s Supper the way you would a dinner with a close friend. Prepare yourself for the encounter and treat it with the same attention and respect you would give your dinner guest or host. On the way up the aisle to receive the Eucharist try to push away any distracting thoughts. Reflect on the real presence of Christ in the Eucharist. After receiving Christ, try to remain silent and focus on Him for a few minutes before talking, singing, or thinking of anything else. Offer hospitality to someone. Make them dinner, or take them out for coffee and treat them as if they were Christ Himself visiting with you.